More than two years have passed since I have written about the state of Canada’s space program. That’s because I have been busy with other activities, especially my historical writing. But truth to tell, there has been very little meaningful action relating to Canada’s space program during that time. Most of the space news in Canada has been bad, caused by neglect from the federal government. In January 2016, I wrote about the newly installed Liberal government of Justin Trudeau doing nothing while a major Canadian space contractor, Com Dev International of Cambridge, Ontario, was absorbed into an American firm, Honeywell. Since then, Canada’s largest space contractor, MacDonald, Dettwiler and Associates, has turned itself into an American firm now known as Maxar Technologies. In both cases, the contractors suffered from a lack of meaningful orders from the federal government. Canada has had no coherent plan for space activities for years. The downhill slide of the Canadian Space Agency began years ago under Stephen Harper’s conservatives but has continued without even a pause under Justin Trudeau. The continued decline of the CSA flies in the face of the hopes that many had for the Liberals before they were elected in October 2015. Several leading space scientists backed the Liberals, and one of the most important figures in the Trudeau government is the Minister of Transport, former CSA president and astronaut Marc Garneau. These rare morsels of good news on the space front followed yet another piece of bad news for Canada’s space program. 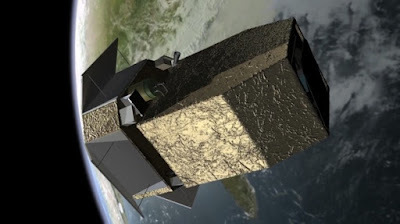 Canada will not take part in the Wide Field Infrared Survey Satellite or WFIRST, which is America’s major space telescope after the Hubble Space Telescope, now nearing the end of its operational life, and the James Webb Space Telescope, which is slated for launch in 2020. Word of Canada’s non-involvement in WFIRST circulated at last week’s annual meeting of the Canadian Astronomical Society in Victoria, but has not yet appeared in the media. While Canada was not a partner in Hubble, it is taking a prominent role in the Webb telescope, and many Canadian astronomers and contractors hoped that Canada would also participate in WFIRST. Although the Trump administration announced that it would not support WFIRST, Congress responded by continuing funding for WFIRST as American scientists indicated their strong support for this space telescope. Fortunately, there is another option for those who want Canada to stay in the forefront of space astronomy in the coming years. Canadian astronomers have been promoting a Canadian-led space telescope known as CASTOR, the Cosmological Advanced Survey Telescope for Optical and ultraviolet Research. The CSA is currently conducting a study of CASTOR, which would fill a hole in space astronomy that will be created when Hubble and its ultraviolet capabilities cease operations. The Webb telescope and others on the drawing board are planned to conduct infrared observations, leaving ultraviolet astronomers without an instrument. If the Liberal government wants to reverse its neglect of Canadian space industry and Canadian space science, going ahead with CASTOR is a good place to start. CASTOR promises new work for Canadian space contractors and prominence for Canadian science. A new space strategy for Canada needs to address questions like the future of Canadian remote sensing capabilities beyond Radarsat Constellation, and plans for Canadian astronauts beyond David Saint-Jaques' flight to the International Space Station later this year. Canada's space program is small compared to those of other advanced nations, and shrinking. The Trudeau government is running out of time in this mandate to reverse the damage to Canada's space program caused by years of neglect, and realize the hopes of those in the space industry who supported the Liberals in 2015.